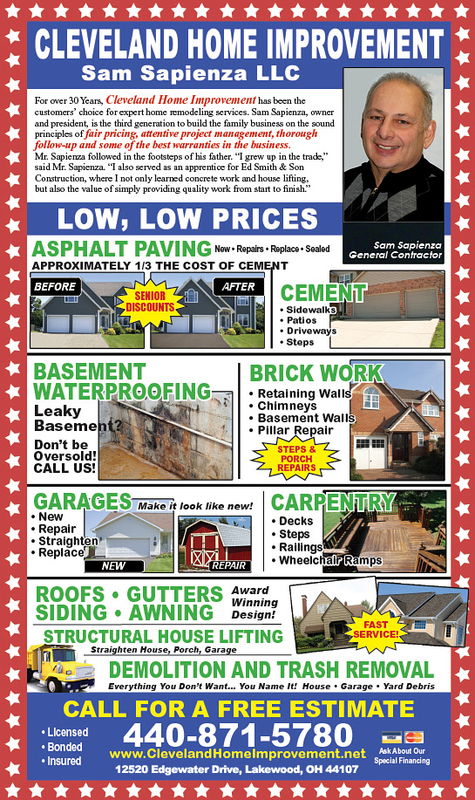 For over 30 years, Cleveland Home Improvement, under the direction of Sam Sapienza, has been the customer’s choice for expert exterior and interior remodeling services combined with fair pricing, superior project management and follow-up, and some of the best warranties in the business. Quality Craftsmanship. No Specials or Fake Come-Ons. We Rely on Credibility.